The Library Of Fragrance ZODIAC COLLECTION presents 12 original, exceptionally beautiful, unisex fragrances, artfully designed to reflect the specific traits, strengths and energy of each zodiac sign. Each is bottled in elegant Italian glass and packaged in a crisp, white carton. Like perfumery, astrology is considered both and art and a science, layering intuition, interpretation and description over the complex mathematics of astronomy. 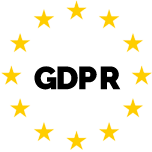 The result is a belief that the alignment of the stars and planets determine who we are born as, what drives us, and the nature of the obstacles and opportunities we face. At The Library Of Fragrance, we do not claim to hold any insight as to the truth of such matters. But we do know that we love to gaze at the stars and wonder. 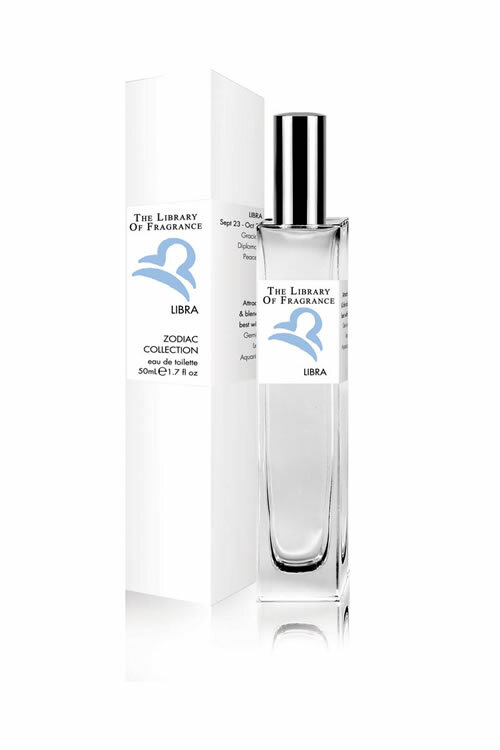 The structure of each fragrance in the ZODIAC COLLECTION keeps with the linear style of The Library Of Fragrance scents, meaning that they express their nature immediately and do not change on the skin over time. However, unlike The Library of Frangrance classicly structured single note colognes, the Zodiac Collection fragrances are enchantingly complex Eau de Toilettes, which use a higher concentration of fragrance materials to make them longer lasting than Demeter’s standard cologne sprays. ZODIAC COLLECTION fragrances can be layered and blended with ALL others in the collection to create a uniquely personal signature scent without concerns about mistakes. The Library of Fragrance ZODIAC COLLECTION is completely blendable. 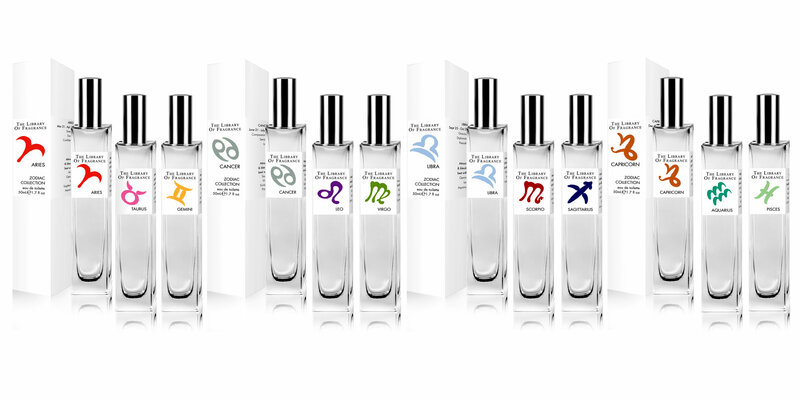 Each zodiac fragrance is designed to appeal to the distinctive preferences of your horoscope sign. You can enjoy them individually or layer multiple fragrances to perfectly represent the planetary positions of your specific birth date and time. You can also unite the signs of significant others, family members or friends – with your own Zodiac fragrance – to create a shared customized scent.